? 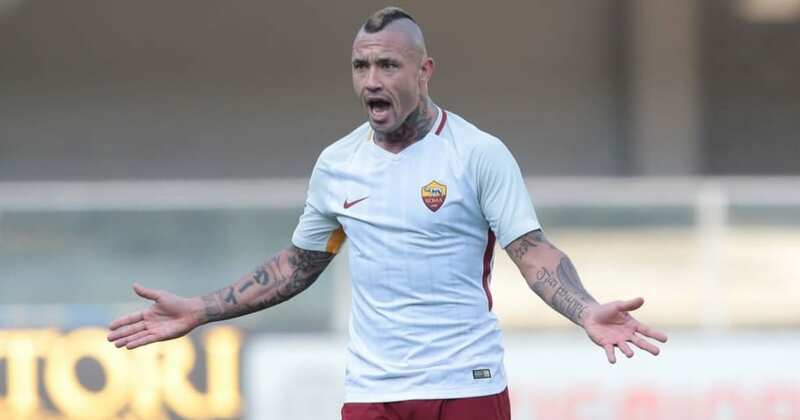 ?Inter have officially confirmed the signing of Roma midfielder Radja Nainggolan on a four-year deal, with the Belgian the latest player to sign for the ?Serie A giants this summer. Nainggolan, who has impressed in Italy’s top flight and helped Roma reach the semi finals of the UEFA Champions League during the 2017-18 season, joins Stefan de Vrij and Roberto Gagliardini (following a successful loan spell) as the third of Inter’s permanent signings this summer. A post on Inter’s ?website reads: “Radja Nainggolan is officially a new Inter player. The Belgian has signed a contract with the Nerazzurri that runs until 30 June 2022. The 30-year-old has frequently been linked with moves away from Roma due to his excellent form over the past few campaigns and now joins an Inter side looking to reestablish themselves as a major European power after successfully qualifying for the Champions League. Nainggolan, who was left out of Roberto Martinez’s 23-man Belgium squad for the 2018 World Cup, scored 33 goals in 201 appearances for Roma and previously plied his trade for fellow Italian outfits Cagliari and Piacenza. Inter will be looking to improve upon their fourth place finish in the 2017/18 season, during which they secured Champions League football for next term with a breathtaking 3-2 win at Lazio on the final day of the campaign. The club also announced both defender ?Davide Santon and 18-year-old midfielder ?Nicolò Zaniolo have moved to Roma as part of the deal.